Published: May 3, 2018 at 04:09 p.m. Updated: June 1, 2018 at 07:47 p.m.
Kirk Cousins' reign as the NFL's highest-paid player lasted less than two months. 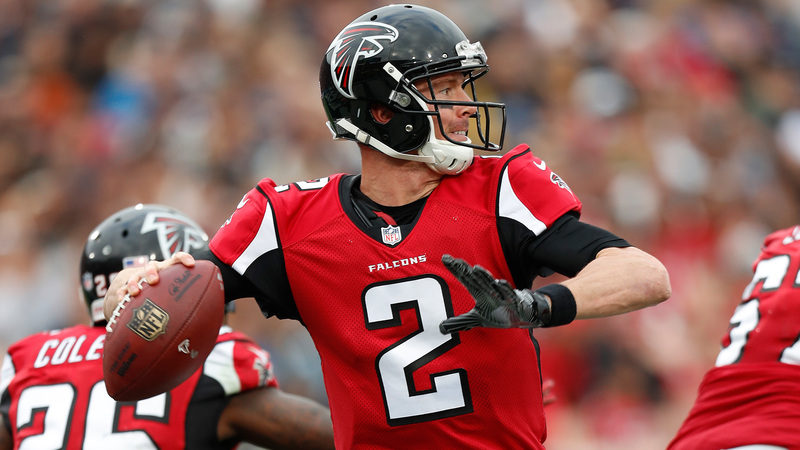 The Falcons have agreed to terms with quarterback Matt Ryan on a five-year, $150 million contract extension with $100 million guaranteed, NFL Network's Tom Pelissero reported, via a source informed of the situation. The new deal runs through the 2023 season and will make Ryan the first player to average at least $30 million per year. The six-year, $103.75 million contract signed by Ryan in the summer of 2013 was due to expire after the upcoming season. Once Cousins set the market at $84 million in guarantees, both Ryan and Aaron Rodgers were fully expected to break the bank with their own mega deals. Now that Atlanta's 2016 MVP has signed, it's only a matter of time before Green Bay's two-time MVP hopscotches that contract. Franchise quarterbacks are the sport's holy grail and are compensated accordingly. As Falcons general manager Thomas Dimitroff once lamented, "Until you find your quarterback, the search for him consumes you." There was never a chance that Dimitroff and owner Arthur Blank would allow Ryan to reach the open market. The new contract removes the possibility of the organization applying the franchise tag next offseason. Ryan, 32, holds the franchise record in nearly every major passing category, throwing for 41,796 yards with 260 touchdowns and 126 interceptions. No quarterback in history has passed for more yards over his first 10 seasons. Since the former Boston College star entered the league in 2008, only the Patriots, Steelers and Packers have exceeded the Falcons' 95 victories. At his peak under masterful play-caller Kyle Shanahan in 2016, Ryan recorded one of the finest quarterback seasons in modern NFL history while leading the Falcons to their second Super Bowl appearance. Although his numbers were down last season, Ryan's offense still finished second only to the Patriots in yards per drive and Football Outsiders' Drive Success Rate metric. With a year under his belt in Steve Sarkisian's system and newcomers such as first-round wideout Calvin Ridley added to his arsenal, Ryan is poised for another run at the NFL's No. 1 offense. The Falcons have drafted incredibly well under Dimitroff and coach Dan Quinn, complementing Ryan's attack with a young, athletic defense. With a strong organizational structure in place and one of the league's most reliable quarterbacks locked up, Atlanta's Super Bowl window is wide open. Matt Ryan now holds the highest contract in the NFL topping Kirk Cousins. See who else makes the list.